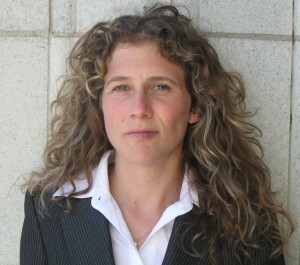 Alanna Coopersmith, of East Bay Defense: Law Office of Alanna D. Coopersmith, has been a Court Appointed Attorneys Program (CAAP) panel attorney since 2010. She began her legal career clerking for a United States District Court Judge Stewart Dalzell, and was an associate in the litigation department at Paul, Weiss, Rifkind, Wharton & Garrison LLP, representing individuals and companies in a wide range of commercial cases. Most recently, she practiced criminal defense as a deputy public defender at the Solano Public Defender’s Office, and was a volunteer attorney at the San Francisco Public Defender’s Office. Alanna specializes in criminal defense, including DUI, representing clients against a wide variety of felony and misdemeanor charges. 1. When did you know you wanted to be a lawyer? After college I worked as the grievance officer of a labor union. This meant that I served as a liaison between the union’s representatives and lawyers, helping the representatives investigate grievances effectively and helping the lawyers prepare grievances for arbitration. This was a thrilling job. I remember making incendiary bar graphs and charts in cases in which employees were underpaid, and doing everything in my power to get jobs back for workers who had lost them. It was fighting the good fight. For me, law school just seemed like the next logical step in representing people, especially people who are accused. 2. If you hadn’t become a lawyer, what would you be doing instead? I would be a veterinarian. 3. What do you know now that you wish you had known when you were first admitted to practice? Judges don’t use gavels in real life, only in the movies. 4. What is the biggest challenge facing you as a lawyer today? In criminal defense, clients face daunting odds. My passion is important and it’s why I do the work, but I struggle not to take the heartbreaking situations of my clients personally. Every day, there’s a tension between wanting to jump in front of a moving train to save them, and knowing that I need my own personal space. 6. What is your dream vacation? I’ve never been to Hawaii. It’s not as crazy as it sounds. I’m from the East Coast. 7. What are you reading now? The Mermaid Chair by Sue Monk Kidd. 8. What’s one thing people might be surprised to learn about you? My mother, father, and one sibling are doctors. I’m the black sheep. 9. What person, living or dead, real or fictional, would you like to have dinner with? Hillary Clinton (after she’s president someday looking back at her life). 10. Why did you decide to become a CAAP Panel Attorney? I’m a criminal lawyer and I used to work as a public defender. I relish the opportunity to represent people accused of a crime and who need a vigorous defense, regardless of ability to pay. In addition to compensating us for the time we devote to clients’ cases, the Alameda County Bar Association’s Court Appointed Attorneys Program also makes available funds to enable investigators and experts to work on our team. CAAP is currently seeking experienced criminal defense attorneys to join its panel to represent indigent clients charged with serious felonies up to and including death. If you have extensive criminal defense experience and are looking for an opportunity to serve our community, please contact CAAP Director John Fricke at (510) 302-2202 or john@acbanet.org, for more information.